We are located between Hortter Street and Phil-Ellena Street. Parking Lot on Premises. 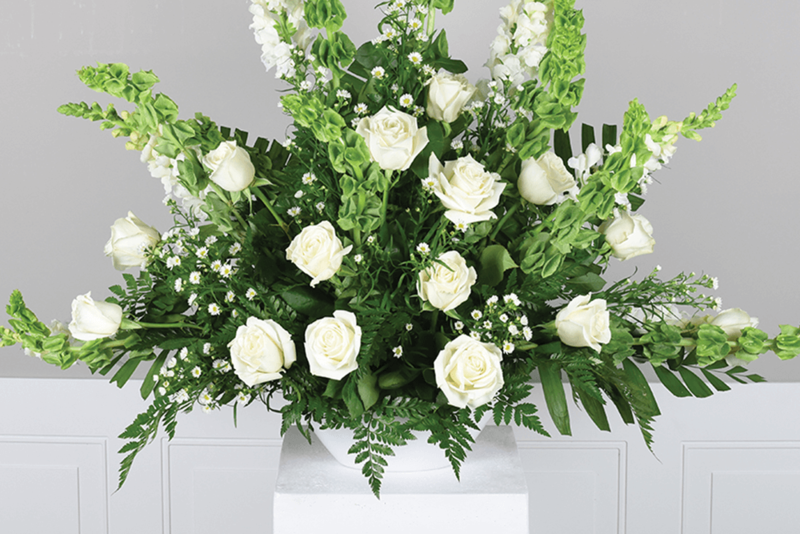 Contact us for more information about our funeral home in Philadelphia, Pennsylvania. Take 76 West to the Valley Forge exit. Take to exit 32 (Lincoln Drive/Kelly Drive). Stay in middle lane and follow Lincoln Drive/Wissahickon Exit. Follow curves to 3rd traffic light (Johnson Street). Turn right onto Johnson Street. Continue to 7th traffic light (Chew Avenue). Turn left onto Chew Avenue. Continue on Chew Avenue past 2 traffic lights; the Funeral Home is on your right. 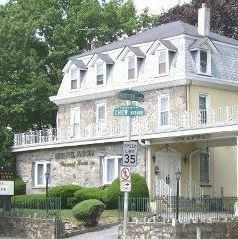 Follow Olney Avenue past Girls High School, Central High School and La Salle University. Follow Olney Avenue into Chew Avenue. Follow Chew Avenue past Chelten Avenue, Washington Lane and Upsal Street. The following traffic light is Hortter Street; the Funeral Home is on your right. Follow City Line Avenue to Lincoln Drive/Wissahickon Avenue. Follow Lincoln Drive around curves to 3rd traffic light (Johnson Street). Turn right onto Johnson Street. Follow to 7th traffic light (Chew Avenue). Turn left onto Chew Avenue. Follow Chew Avenue past 2 traffic lights; the Funeral Home is on your right. Take Roosevelt Boulevard (Route 1 South), stay in middle lane. Exit at Ridge Avenue/Kelly Drive. Follow to 2nd traffic light (Kelly Drive). Turn right onto Kelly Drive. Get in left lane and follow to Lincoln Drive exit. Follow Lincoln Drive to 3rd traffic light (Johnson Street). Turn right onto Johnson Street. Follow Johnson Street to 7th traffic light (Chew Avenue). Turn left onto Chew Avenue. Follow past 2 traffic lights; the funeral home will be on your right. Take I-95 North to 76 West. Follow to Valley Forge exit. Take Valley Forge exit to Exit 32 (Lincoln Drive/Wissahickon). Follow curves to 3rd traffic light (Johnson Street). Turn right onto Johnson Street. Follow Johnson Street to 7th traffic light (Chew Avenue). Turn left onto Chew Avenue. Follow Chew Avenue past 2 traffic lights; the Funeral Home will be on your right. Follow Route 1 South to Adams Avenue. Turn right onto Adams Avenue. Cross over Tawny Creek on your right. Keep straight onto Godfrey Avenue. Cross over Route 611 (Broad Street). Follow Godfrey Avenue until it turns into Stenton Avenue. Follow Stenton Avenue to Upsal Street. Turn left onto Upsal Street. Follow Upsal Street to Chew Avenue. Turn right onto Chew Avenue; the Funeral Home will be on your right. Take Easton Road/Glenside exit (Exit 152). Turn right off of Exit 152 onto Easton Road. Follow Easton Road until it changes into Wadsworth Avenue. Follow Wadsworth Avenue until it changes into Mt. Airy Avenue. Turn left onto Chew Avenue; the Funeral Home will be on your left.